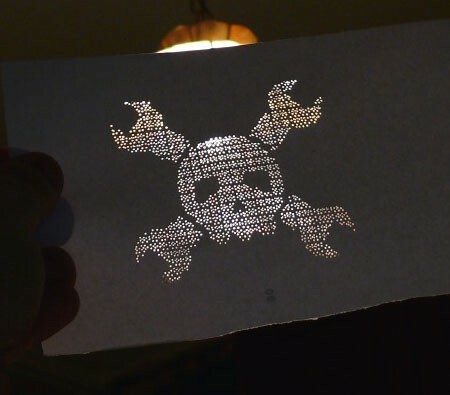 Check out this awesome tool that [Alfonso Martone] built and wrote in to tell us about: a pin plotter made entirely from Lego (except for the addition of a pin in one brick). [Alfonso] has managed to get 33dpi resolution with a “printable” area of 90x70mm. 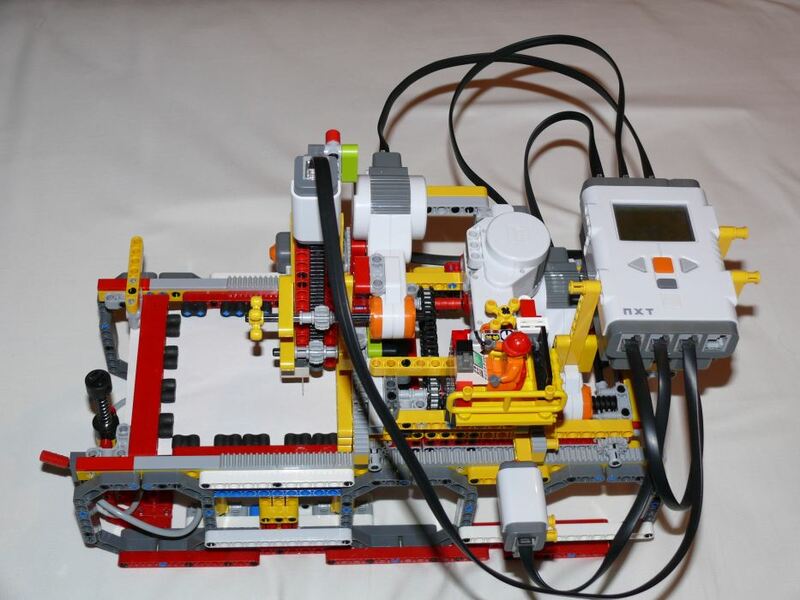 The NXT device reads 1bit bitmapped images in PBM format and outputs onto a sheet of paper, which is held in place by Lego pneumatics pushing against rubber Lego bricks. Output is not what you might call speedy, though: it takes 35-40 minutes to output a drawing with 1,500 holes. [Alfonso] has managed to capture our hearts with this awesome piece of work, which we’d love to backlight and put in a frame on our wall. You should make the frame out of lego. I saw the title and thought bullsh1t. i figure the frame was lego, but the guts were from a real plotter. Wow! Great hack! joe: The frame is indeed made out of Lego. You could buy a kit to do this that came with software for the BBC micro to do this. I borrowed the kit from a college and made it myself a few years ago. It wasn’t great but it worked. You could make a pretty cool lampshade with this. There were several homebrew LEGO printers/scanners/copiers done back in the day when Mindstorms 1/1.5 came out. I built a copier in 1998. Next step make a fabber! I would never think of cosplaying that hehe I cant believe it was done, i guess it was bound to happen do to the shows popularity.